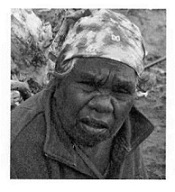 Molly Napurrurla Tasman was born in 1936 and is a desert lady who has travelled her dreamtime stories. Molly is dedicated to the preservation of her culture. She enjoys painting as it allows her to express and preserve the indigenous culture in a meaningful way.